Fall is coming! Get ready to fabricate your fantel! I can’t believe it. Can you? August is halfway over. Temps are beginning to cool down here in the Deep South. Schools kids are assembling their Trapper Keepers. My mom and I saw our first little yellow butterfly of the year last weekend. That’s a sure sign that Summertime is starting to wind down and Fall is just around the bend. Since Fall is my absolute FAVORITE time of the year, I’m getting so excited to begin the transition. I’m also really excited to share another piece of news! 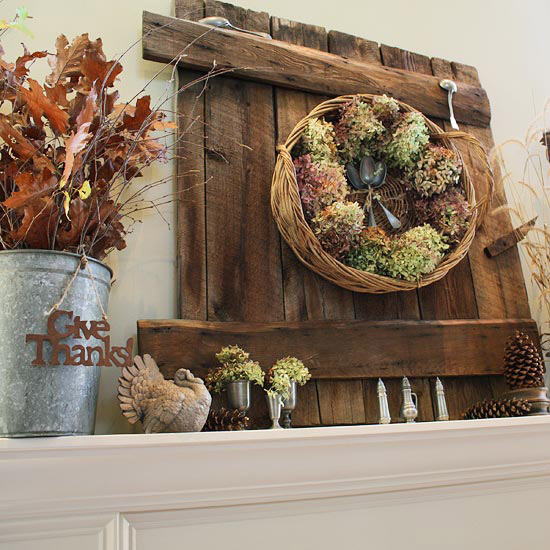 My 2011 fall mantel (aka: fantel) has been featured on BHG.com! 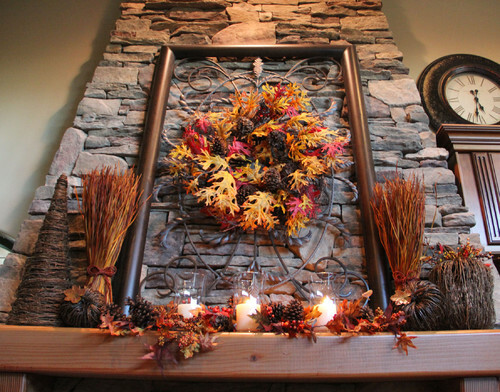 Click here to see my fall mantel along with lot of other bountiful beauties! And this time when I got the email, I didn’t even shat in my pantaloonslike I did when they contacted me about my first feature. See how cool and calm and collected I am about it this time around? I’ve made progress, y’all. I’m getting a-hang of this publicity thing. Shat-free is the way to be. 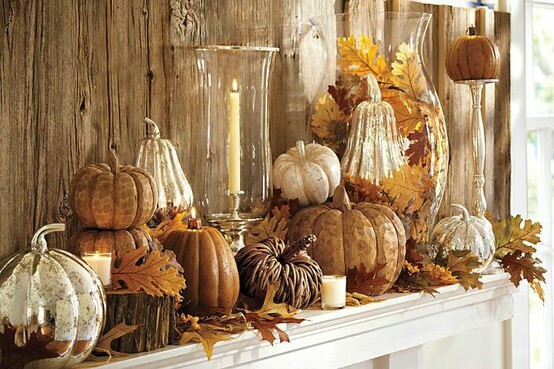 So, let’s get ready to pull out the pumpkins and glitter the gourds, because it’s fantel decorating time! If you need some inspiration on fabricating your fantel, there are TONS of great pictures in the BHG.com article. 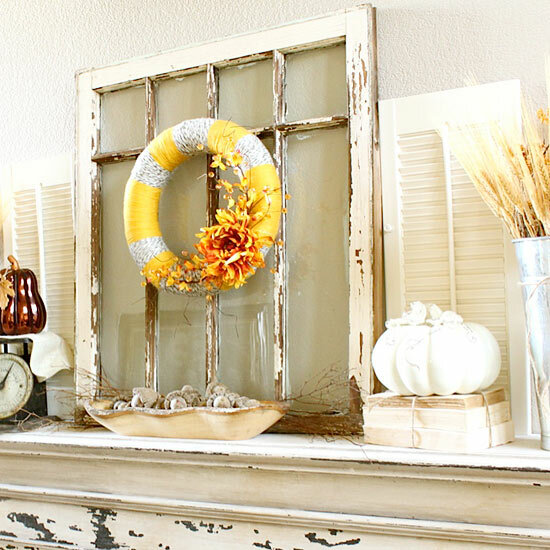 I wanted to showcase a few of my favorite neighboring photos from the fall mantel decorating ideas that BHG.com assembled on their site from other bloggers, plus a few more I’ve found along the way. 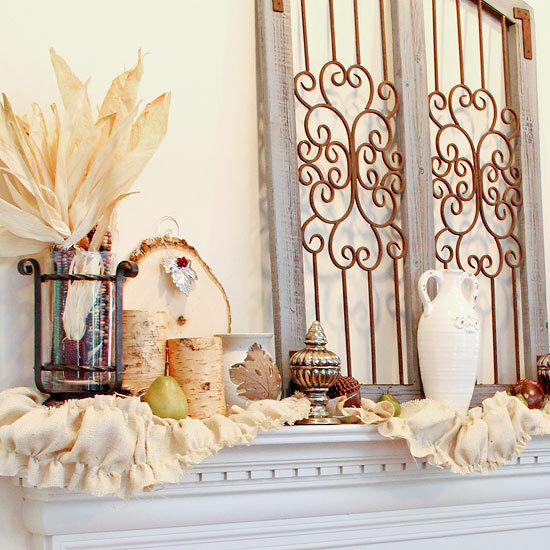 I ask that if you want to pin these beautiful mantels to please click through to the original site and pin it from their site! And finally, the Mother of all Fantel decorators…. Pottery Barn. Love all the light colors in your fantel from last year, Beth! I was so thrilled to be featured right along with you in that group. 🙂 Can’t wait to see what everyone comes up with this year! You are for sure! Me? Maybe just a lucky break, but I’m still going to keep hoping for another! Fall is my fave, too! This year’s decor will include a bunch of jars, but I’m not yet sure how they will be used. Congrats on the BHG! Thank Kirby! I can’t wait to see what you do with those jars! Excited for the big party coming up again at the end of September! Thank you so much for the shout out! 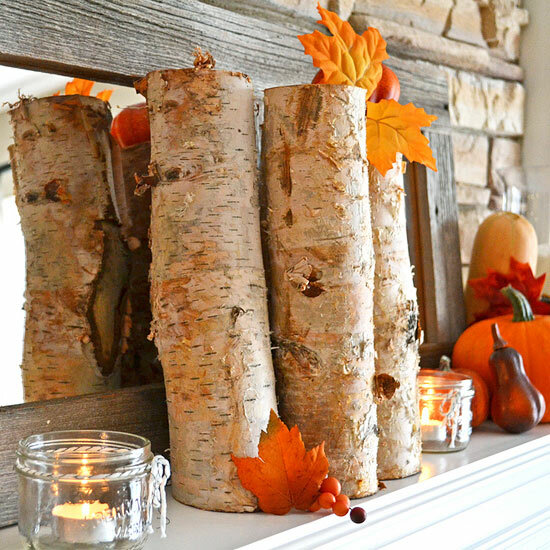 I love your fall mantel from last season! And congrats on the BHG feature! Wooooot! You’re so welcome! You are a girl after my birch-tree loving heart! 😀 I adored your decorations. Excited to see what you do this year! You say shat, I say shart! Glad you didn’t do either!! Well deserved feature. Love fall – got married among pumpkins and falling leaves – nothing better! 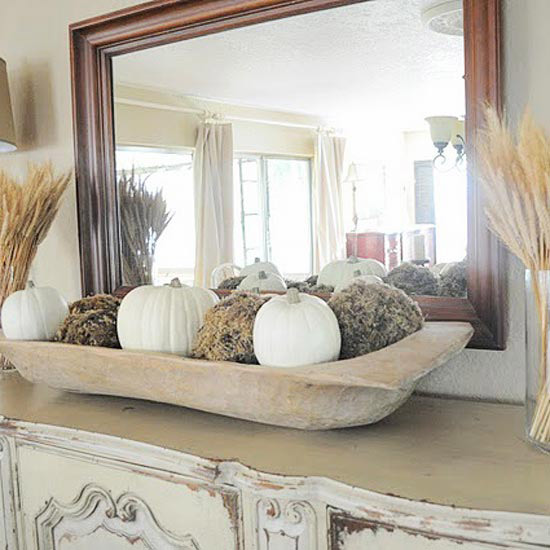 Although I don’t want to retire my flip-flops just yet, I am now thinking fall mantels! I can’t wait for fall! So excited for the temps to be back in the 70s. Thanks for the inspiration! Oh you just have me so excited and inspired for Fall…my all time favorite season. I LOVE your mantel. How exciting … and so well deserved!! Yes, it was so wonderful for Kate and Clara (and Will Bower!) to hang out and play tehotger. Hopefully someday we’ll make it [email protected]: She is the [email protected]: No worries – this is all I’m saying, hahaha! So glad I met you; I’m already looking forward to our Haven After-Party [email protected]: Oh my goodness, so true! And you’d be surprised how many people attended Haven that don’t even have blogs – I’m thinking it was maybe even as high as 1/4 of the people there! They just loved reading blogs, and came to meet their favorite bloggers and learn more about home decor/DIY projects. I thought that was really neat. You should consider it for next [email protected]: Ahem…that was Day 2, lol! That video is now on lock-down, never to be seen by the public*. We have reps to protect, ya know! 😉 *Unless that security guard has already YouTubed it. Oh dear. Ironically, the pottery barn is the one I liked the least. 🙁 Strange, but it happens. And I also loved the one from prettylife inthesuburbs….. She did a gorgeous job, as always! hufnalami zewłok. Nienaruszona ocalała ledwo zębata gęba.